Firms using cloud for competitive advantage double revenue, claims IBM study. A recent global study of over 800 enterprise IT decision makers has found 1 in 5 organisations is ahead of the curve on cloud adoption and gaining competitive advantage over hesitant users. Firms are benefiting from the immediate advantages of cloud, such as the flexibility and agility that a cloud service brings in addition to cutting costs, whilst now driving business forwards and maximising revenue opportunities. The IBM study focused around the use of cloud computing platforms for big data analytics, collaboration and customer relationship management and seems to suggest that those firms are reporting nearly double the revenues and profit growth of those that are adopting a more cautious approach to the technology. My question is this, why stop there? 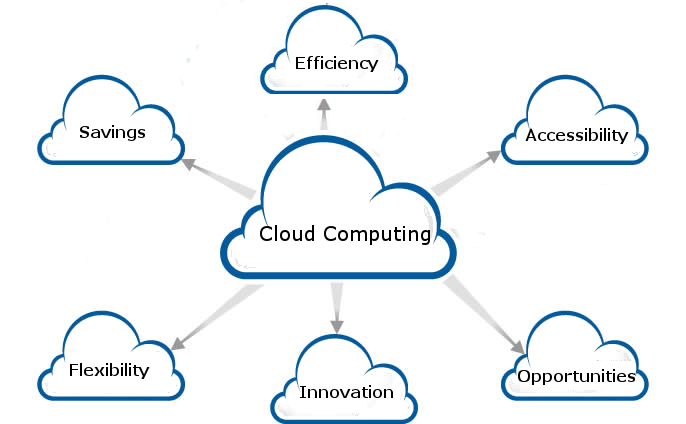 Cloud has been around for a while now and this just further rubber stamps its application for business processes. The study goes on to say over 40% of respondents had realised major improvements in organisational efficiency too. So, just to recap, that’s double revenue, simplified systems and improved efficiency. Cloud is providing these organisations with fantastic competitive advantage in several ways: strategy adaption, improved decision making and more comprehensive collaboration methodology. By removing the management costs in time and resource companies are seeing a marked improvement in other areas through a more direct focus. They have been able to develop services and create new revenue streams which furthers their advantage. Cloud communications infrastructure is not something new, but it is something that organisations should be looking at very seriously. There really is no need now to keep these systems on premise, and in fact in some cases it can be extremely detrimental to do so. Moving infrastructure for communications into datacentres, unburdening technical teams and freeing resource to focus on other key tasks is proving to be a real business driver. The inflexibility of a static PBX on premise, the costs of ISDN VS IP/SIP infrastructure and the sheer complexity of configuring systems can now be realised, simply and effectively. The IBM study should naturally be taken with a pinch of salt but it is a good indicator for the benefits of cloud. We have been focusing on cloud infrastructure for our customers for a number of years now, and are an accredited Professional Services Partner with VMware. We have been seeing great rewards for businesses willing to make that leap and be early adopters of what is increasingly becoming a normal practice for business, migrating their telecoms to the cloud. What this has meant for us as an organisation is that we now understand the importance of a complete ICT picture and increasingly customers are pushing for full systems integration and a seamless transition across all services.